From its perch within the Carré des Horlogers wing at the SIHH 2017, Christophe Claret next week will debut a stunning companion to the intricate Maestoso seen in 2015. 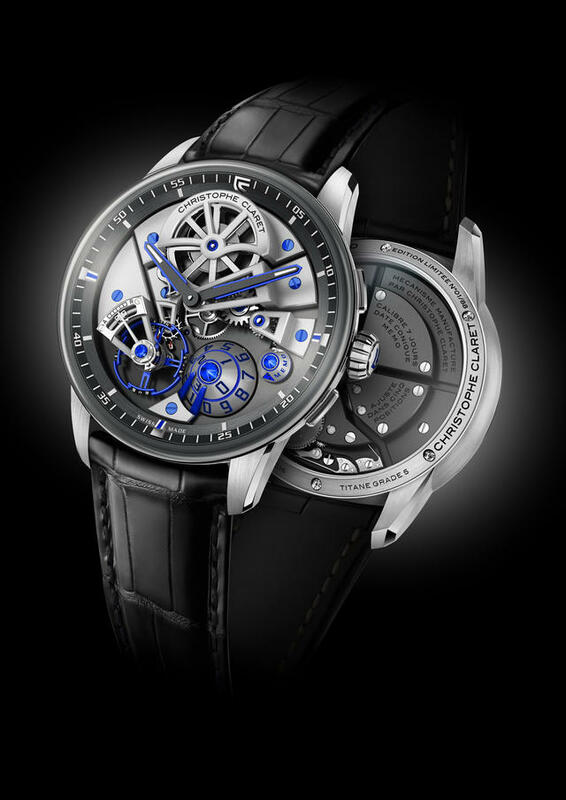 In the new watch, called Maestro, Claret eschews the Maestoso’s traditional detent escapement for a colorful blue or red anodized aluminum escape wheel with a more contemporary design, and then adds a unique cone-shaped Memo function. Inspired by the expression “tie a knot in your handkerchief” to help one remember something important, the Memo is Claret’s mechanical reminder for absent-minded individuals –or for fans of technical gadgets. Once set, the ruby or blue diamond reminder will appear at 4 o’clock within the three-dimensional dial until the user presses on the nearby pusher, after which the stone will retreat to its original position. 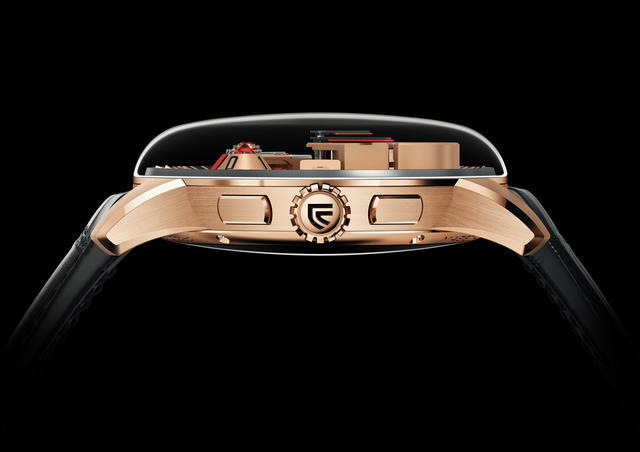 To echo the 3D effect of the Memo Claret has created an even larger pyramid-shaped date at 5 o’clock, with tens on the upper disk and units on the lower disk. This impressive date pyramid is topped with a ruby or a sapphire, and all this finely finished work is placed under a domed sapphire crystal. 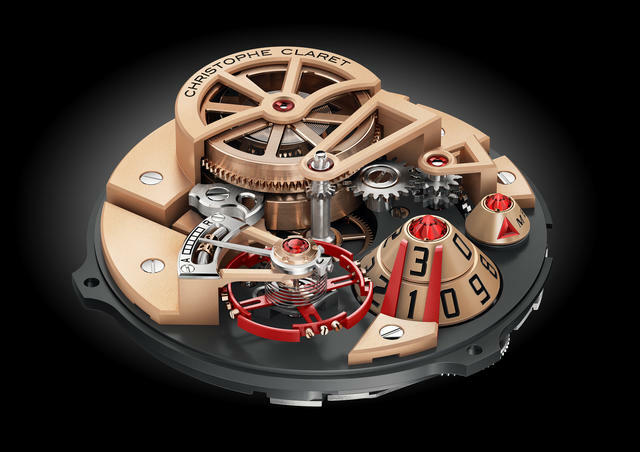 The watch is 42mm in diameter, the smallest for Claret, and offers a seven-day power reserve. 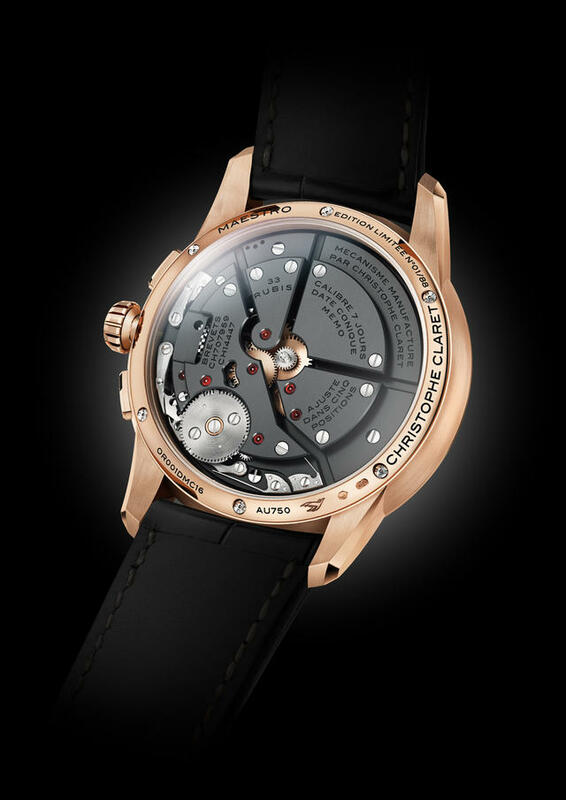 It’s made in pink gold or titanium and both versions are issued in 88-piece limited editions. 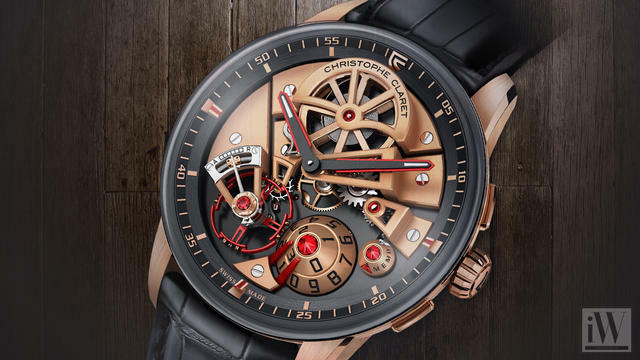 This is also the first Haute Complication watch by Christophe Claret with an approximately $67,000 price tag.